Lithium may not be the hot commodity for investors it once was but that hasn’t stopped Liontown Resources from pushing ahead with plans to develop its Kathleen Valley project near Leinster (reports The West Australian). And while many other ASX-listed hardrock lithium plays are well into production, Liontown believes its later entry to the market means it can avoid the mistakes made by some of its more mature rivals. Liontown picked up the lithium, tantalum and tin rights at Kathleen Valley from Ramelius Resources in 2017 for 25 million shares after the miner ended its gold-mining operations. It has since amassed a resource of 21Mt at 1.4 per cent lithium, 75 per cent of which sits in the measured or indicated categories. Last month, the company reported more encouraging results from an ongoing drilling campaign at Kathleen Valley ahead of an expected resource upgrade by the middle of the year. It is also well advanced on metallurgical testwork to guide the planning, development and optimisation of its processing infrastructure to ensure economic recovery rates from the outset. It’s an area where several of its more advanced peers have tripped up in the race to join the lithium revolution. Only this week, Pilbara Minerals conceded it would not hit a targeted 75 per cent recovery rate at its Pilgangoora project until the end of the year. 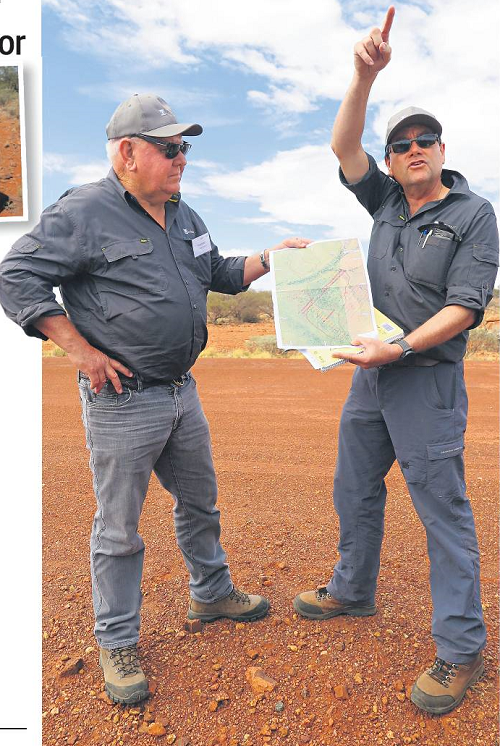 Liontown’s contracting study manager Paul Henharen says he sees no red flags in the company being able to produce a chemical-grade 6 per cent spodumene concentrate for sale into the Chinese market. The company hopes to have a pre-feasibility study out before the end of the year with an eye on first production in 2022. A scoping study has already put a price tag of $232 million on Kathleen Valley based on an open pit operation, a 2Mtpa processing plant producing 360,000t of spodumene concentrate a year for a minimum nine years. It gives Kathleen Valley a net present value of $421 million for a 38 per cent internal rate of return and payback within three years. Free cashflow generated over the life of mine is estimated at $762 million. Liontown is also hopeful of extracting a tantalum concentrate from its ore by employing a circuit, which could add cream to an already robust project. This week, chief executive David Richards and chairman Tim Goyder are travelling to China in a bid to establish relationships with the likes of automakers Great Wall and BYD as well as lithium giant Gangfeng. It also appointed battery metals specialist Eileen Hao as its chief representative in the country. Besides Kathleen Valley, Liontown is also progressing its Buldania lithium project east of Norseman where it plans to start drilling in the June quarter. It’s still early days for Liontown but the company is doing the groundwork to be a serious player in the hardrock lithium mining space just like a handful of other early stage producers before it.